SOMNATH TEMPLE PRIDE OF GUJRAT / INDIA. Shree Somnath is first among the twelve Aadi Jyotirlings of India. The Somnath Temple is located in the Prabhas Kshetra near Veraval in Saurashtra, on the western coast of Gujarat, India. Somnath means “The Protector of Moon God”. The Somnath Temple is known as “the Shrine Eternal”, having been destroyed many times by various kings and rulers. Most recently it was rebuilt in November 1947, when Sardar Vallabhbhai Patel visited the area for the integration of Junagadh and plan for restoration. 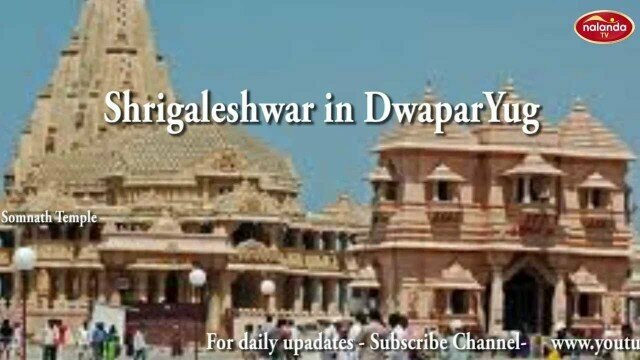 Somanth is the seventh temple built to commemorate the glory of Lord Somnath who was known as Bhairaveshwar in the Satya Yug, Shravanikeshwar in Treta Yug and Shrigaleshwar in DwaparYug. According to legend, Soma, the moon God built the temple in gold, Ravan in silver, Krishna in wood and king Bhimdev of Anhilwad in stone. Soma constructed the temple as a gesture after Lord Shiva cured the curse of his father-in-law Daksha Prajapati’s. In the first phase of construction the shikhar portion, the sanctum sanctorum and the sabha mandap (assembly hall) were built. The nritya mandap (the dancing hall) was built later. The temple has been constructed in the Solanki style. The pinnacle rides to a height of 155 feet. The kalash atop the shikhar weighs 10 tonnes. The flag- mast is 37 feet long. These details give an idea of the size of the temple. In historical times the temple, the third to be precise, was built by Sultan Mohmad of Ghazni. Then Sultans Allauddin and Mohmad Begda too desecrated it. After the Maraths took over Gujarat Rani Ahalyabai of Indore constructed a temple near the old temple and worship is offered there ever since. The temple is so situated that there is no land from here to the South Pole. An arrow indicates the direction. Dehotsarga also called Balkh Tirth where Krishna shuffled off his mortal coil is nearby which the pilgrims should visit. The tirtha stands at the confluence of Hiranya, Saraswati and Kapila rivers. Vallabhacharya’s Baithak is also there at Prabhas Patan. 1. The nearest Airport is at Keshod, (125kms) which is connected with Mumbai. 2. Veraval, (5kms) is the closest Railway station. 3. State transport buses and private luxury coaches connect various centres of Gujarat to Somnath.